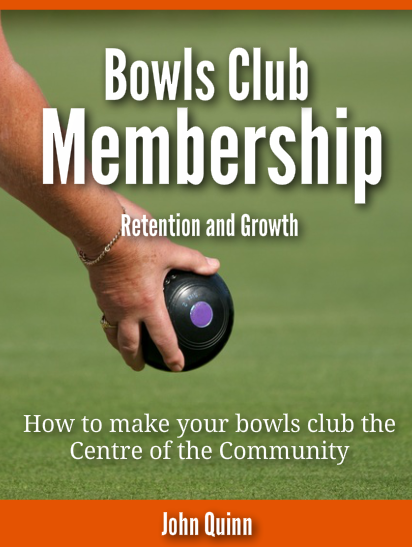 John’s new eBook: Bowling Club Membership – retention and growth is now available for Instant Download. In this eBook John looks more closely at the subject that he first raised in Bowling Club Survival and Turnaround and this book can be regarded as a partner volume to the previous eBook, as it digs deeper into the vital area of getting people through the door of your club and keeping them coming back for more, over the long term. Right now, this is the definitive guide on re-building your club’s membership base and building a successful club for the future. How to build member loyalty and how to install systems to perpetuate this. How to re-think the role your club plays in the local community and a new way to think about what constitutes a “member”. An amazingly simple but powerful formula that will ensure your club stands head and shoulders above all of your competition when it comes to excellent service. How to build an automatic club improvement system. So as you can see, ‘Bowling Club Membership – retention and growth, is set to be a very important resource for Bowling Clubs everywhere, but what we’ve told you so far really is just scratching the surface. The book is also packed with actual tools you can use to achieve the remarkable changes previously outlined.